Harry Connick, Jr. sang these words on his 1988 album, never expecting the meaning they would take on fewer than 20 years later. In the wake of 2005’s Hurricane Katrina, the city’s residents, past and present, still mourn the loss of their communities, even as they continue to try to rebuild. Events of the past week have caused many of us at the Law Center to be particularly conscious of the ongoing struggles and triumphs of those whose lives were forever changed by the devastating hurricanes five years ago. 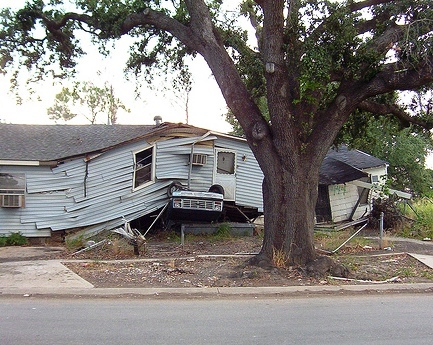 On Friday, we received preliminary approval of our settlement in a class action case the Law Center and our partners brought on behalf of survivors wrongly denied housing assistance by FEMA after losing their homes to Hurricanes Katrina and Rita. Our celebration of this good news was greatly tempered, however, by a report released last week by UNITY of Greater New Orleans, an organization that has provided tremendous leadership on homelessness issues in the city post-Katrina. The report details the heart breaking increase in homelessness in New Orleans. Since the hurricane, the homeless population has nearly doubled, as people live in abandoned buildings around the city. Five years after the hurricane, we mourn the loss of these individuals’ and families’ homes, and we remain vigilantly committed to our mission of ending homelessness in the Gulf Coast and across America. For the folks taking refuge in these squalid buildings, we continue to fight for housing solutions. For the millions more across the country who do not have access to adequate housing or social services, we’re working to ensure our government understands (as the United Nations does), that housing is a human right. This entry was posted in Human Rights and tagged homelessness, Housing, Human Rights, Hurricane Katrina. Bookmark the permalink.